Having a reliable source for trailer parts can make all the difference. 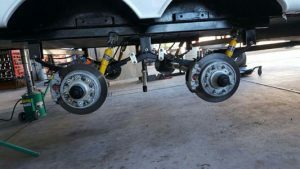 When you need replacement parts that fit your trailer exactly and meet the strict stress tolerances your load depends on, choose Straight Line Suspension. We carry the widest assortment of trailer accessories and trailer parts in Mesa, AZ for all makes, models, and types. 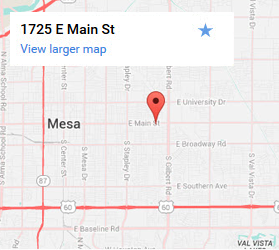 Get the Mesa, AZ trailer parts you need from the experts you trust. Trailer parts aren’t always cut and dried. Depending on your trailer and towing vehicle different setups may be required. Even a single part not properly sized, made of the right material, or fitted correctly can lead to problems sooner than later. Our expert technicians and sales associates are happy to help you find the right part for your needs. We carry high-quality parts from reputable manufacturers, and can quickly determine if the parts you are choosing are compatible with your trailer. For many parts, you have to know that it will stand up to your intentions. A small boat trailer and a livestock trailer have entirely different needs. We carry a wide range of strengths, sizes, and load ratings. Whether you’re looking for aftermarket or OEM brand name parts, we have them in stock or can order them for you, often with same-day delivery. Don’t let your trailer sit idle when you can get the right parts to get you moving again. We can even install a wide range of parts for you. Contact us for trailer parts today! Over the phone and in-person, we want to get you the trailer parts in Mesa, AZ you need. If we don’t have it in stock we can order and receive it quickly from our network of suppliers. Stop looking for parts and call (480) 422-8511 or contact us to find everything you need.